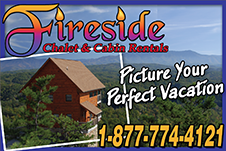 Pet Friendly Cabins - Beautiful mountain cabins in peaceful and beautiful settings, loaded with great amenities and room for your pet! For a memorable vacation getaway, choose from our well furnished and beautifully decorated vacation rentals which will provide very comfortable lodging for you and your pet. One of our pet friendly cabins is just what you need for a relaxing and rejuvenating retreat so you won't have to worry about your pet while you are away having fun, and your pet is in a kennel with unfamiliar surroundings. 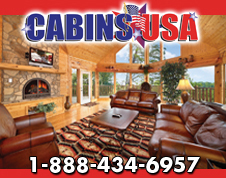 Cabins range from romantic getaway cabins to large cabins which will accommodate groups. Most pet friendly cabins have a cozy fireplace, Jacuzzi for a relaxing bath, Hot Tub on the deck with beautiful mountain views, a game room with a pool table or foosball, TVs with Satellite or Cable, air conditioning, and a fully furnished kitchen. Our cabins are located to nearby attractions, restaurants, and lots of fun things for you to enjoy during your vacation getaway. This is the getaway you've dreamed of. Get away to your family friendly vacation rental and relax, knowing those you love the most will share your vacation with you. Relax on the porch in a rocking chair or porch swing while sipping a cup of coffee, enjoy nearby activities of fishing, hiking, sticking your feet in a cool mountain river, horseback riding, shopping at unique stores, viewing wildlife and mountain flowers, and, once back in your cabin, resting in front of a cozy fireplace in the winter or sitting in your Hot Tub overlooking beautiful views. If you'd like to add adventure to your stay, our vacation rentals are located close to major attractions and outdoor adventure, including whitewater rafting, kayaking, fly fishing, hiking, and river tubing. You will discover here lots of great cabins to make your vacation more enjoyable and relaxing. Choose a cozy one bedroom cabin with a wood burning fireplace, a cabin tucked away in the mountains or a cabin for the entire family with pool table, foosball, and satellite or cable TV. All in all, a pet friendly cabin should be your accommodations choice when vacationing in a mountain resort.